The University of Oregon — already named one of the top 25 universities in the nation for LGBTQ students — has also been recognized as the most LGBTQ-friendly college in Oregon. The ranking by BestColleges.com, in partnership with Campus Pride, highlights the top college or university in each state that has succeeded in creating an inclusive and educational environment for students who identify as LGBTQ. The UO was given five out of five stars by Campus Pride, based on categories that included institutional commitment, student life, housing and residence life, campus safety, health and counseling services, and retention and recruitment efforts. The UO offers gender-inclusive housing options, including the Gender Equity Hall, which is also home to the LGBTQIA+ Scholars, an academic residential community. The LGBTQA3 office in the Erb Memorial Union is another location where students can gather to eat lunch, play games or simply hang out. The office also connects students to resources that support them in their academics as well as their personal lives. “It has been educational, mind-opening, rejuvenating and overall a great community to be a part of,” said Srushti, a fourth-year journalism and history major. 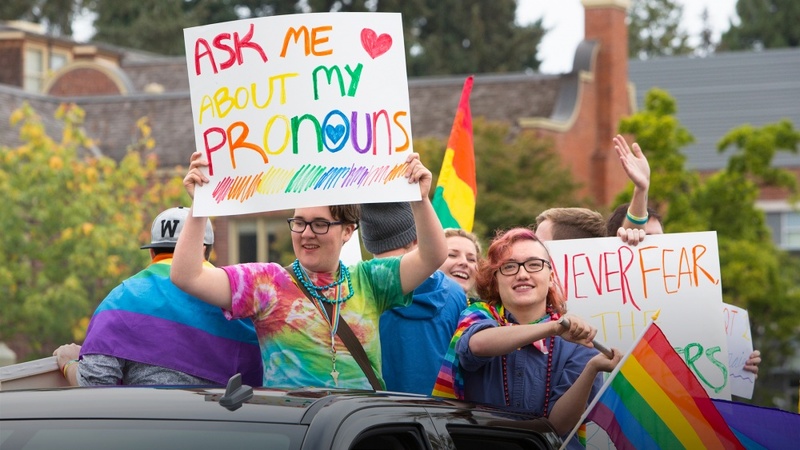 With the broader UO community in mind, the support services program offers Queer Ally Coalition training to faculty and staff, who can learn how to create services and classrooms that better engage, retain and foster success among all UO students, Wilson said. Those who complete the training can display a sticker to show their support for LGBTQIA+ students, making physical spaces inviting and inclusive. The UO’s efforts to build an inclusive environment have had positive effects. Lilly, a third-year student majoring in classics and cinema studies, agrees.